Every year Navarathri is a special time. The beautiful arrangement of dolls called as BommaKolu in South India is a divine pleasure. And the lip-smacking delicacies prepared during those nine days are a real treat for the taste buds. As a child, I have enjoyed visiting our neighbors and getting engrossed in the way they have decorated. Wearing pattu paavadai (silk skirts) and dressing in traditional way is another brownie. As I grew up, due to academic and later professional commitments, I could not visit others’ houses. When I visited Thirupathi last month, the only thing I bought was a pair of Marapaachi – it is a specialty there. 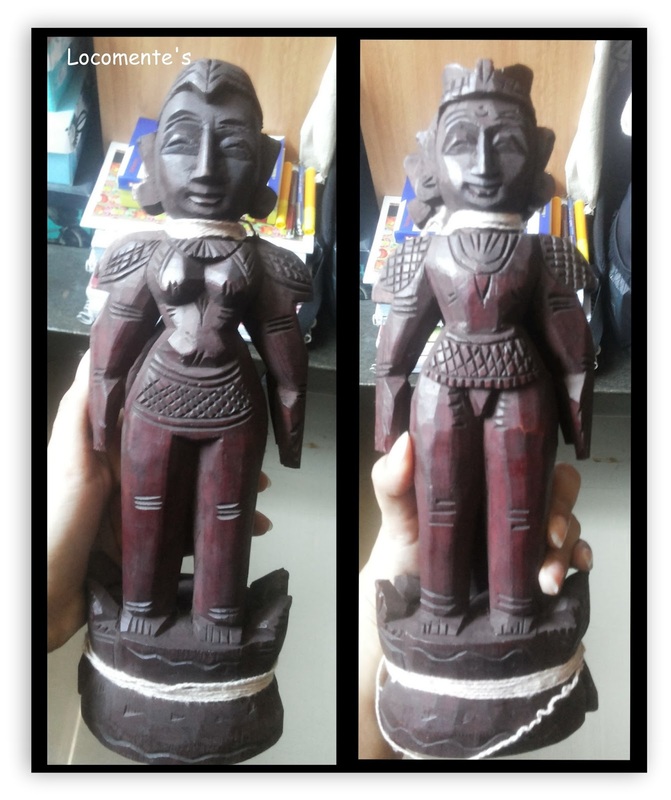 It is the traditional wooden doll which would be dressed and kept as a part of the bommakolu. They would be transferred from one generation to another as a symbol of prosperity and happiness. 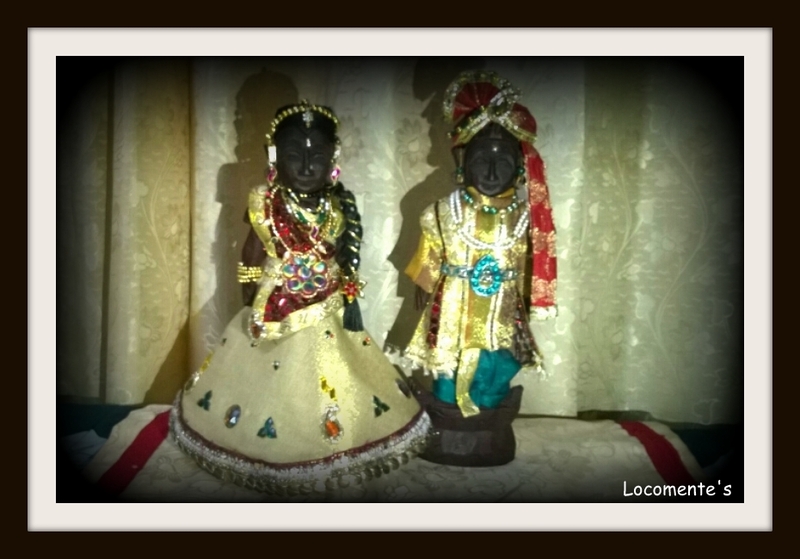 With one week’s dedicated effort, my mother and I dressed up the Marapaachi. My mother, a passionate seamstress, stitched the clothes for them. We also made jewelries and at the end, when we saw the Marapaachi dressed up, we were elated - A creative satisfaction that knew no bounds. Wishing you all a happy Navarathri/Dussehra 2015. May the almighty shower the choicest blessing on you! Where is the picture of Golu and how many steps it contains? 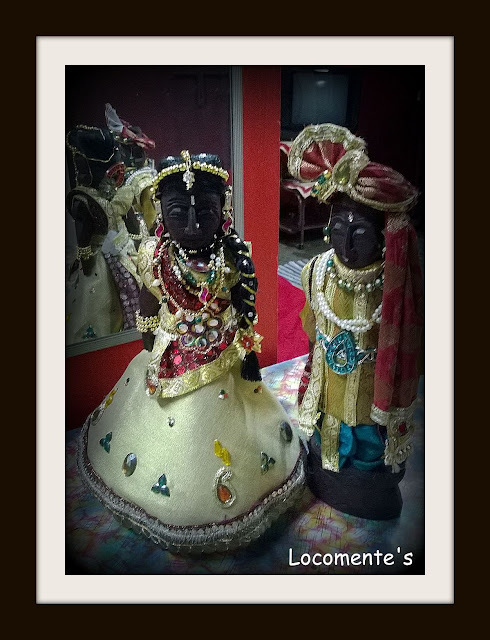 We dont have the practice of keeping Golu in our home. The dress is beautiful! You have got good imagination! As Partha Sir says, did you keep a golu? Pictures pl. awesome dress dear.....sooo cute...belated happy dasara..!! !